Каталитический нейтрализатор уменьшает содержание вредных веществ в отработавших газах. При пропусках зажигания, нестабильной работе двигателя, снижении мощности двигателя или других проблемах, как можно скорее обратитесь для устранения дефекта на станцию техобслуживания. В случае аварии, на короткое время можно продолжить движение, при этом частота вращения двигателя и скорость автомобиля не должны быть высокими. Заправка топливом, марка которого отличается от приведенных на страницах, может стать причиной повреждения катализатора или электронных компонентов. Несгоревший бензин может перегреть и повредить каталитический нейтрализатор. Поэтому постарайтесь поменьше пользоваться стартером, не допускайте попадания в топливный бак влаги и не заводите двигатель с толчка или буксировкой. The original Corsa models were first introduced to the European market in Spring 1993 and are covered in manual SRM 1985. 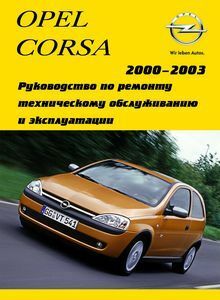 The Corsa then had a facelift from April 1997 onward models which was covered in manual SRM 3921. 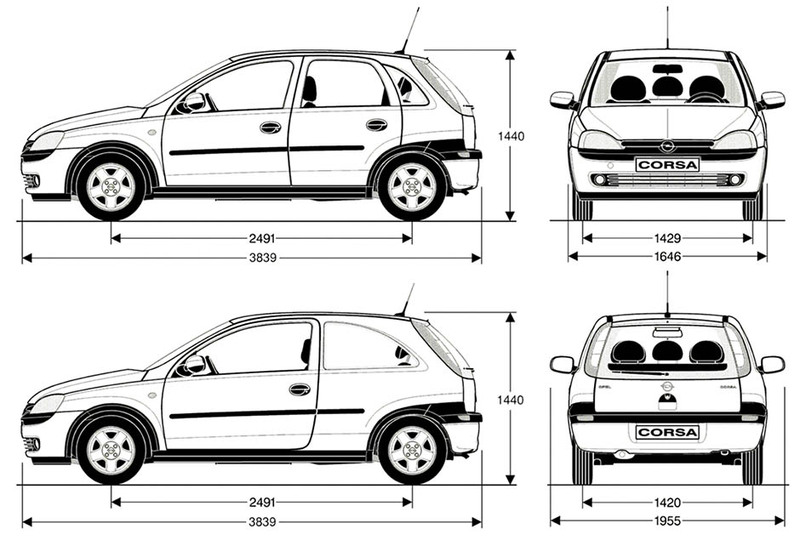 This manual covers versions from October 2000, which were the subject of another model facelift, together with mechanical revisions. A variety of engines are available in the Corsa range, of 1.0, 1.2, and 1.4 litre petrol engines and two versions of the 1.7 litre diesel engines. All engines are of the four-cylinder double overhead camshaft (DOHC) configuration, in-line type, with the exception of the 1.0 litre engine which is a three-cylinder unit. The engines all have fuel injection, and are fitted with a range of emission control systems. The 1.6 and 1.8 litre petrol engines are not covered in this manual. The Corsa is available in 3- and 5-door Hatchback, Corsavan (3-door Van based on Hatchback), and Combo Van body styles, with a wide range of fittings and interior trim depending on the model specification. Fully-independent front suspension is fitted; the rear suspension is semi independent, with a torsion beam and trailing arms. The manual gearbox is of the five-speed all synchromesh type, and a four-speed electronically-controlled transmission is available as an option on certain models. An «Easytronic» manual/automatic transmission is also available. A wide range of standard and optional equipment is available within the Corsa range to suit most tastes, including central locking, electric windows, electric sunroof, anti-lock braking system, electronic alarm system and supplemental restraint systems. For the home mechanic, the Corsa is a relatively straightforward vehicle to maintain, and most of the items requiring frequent attention are easily accessible.